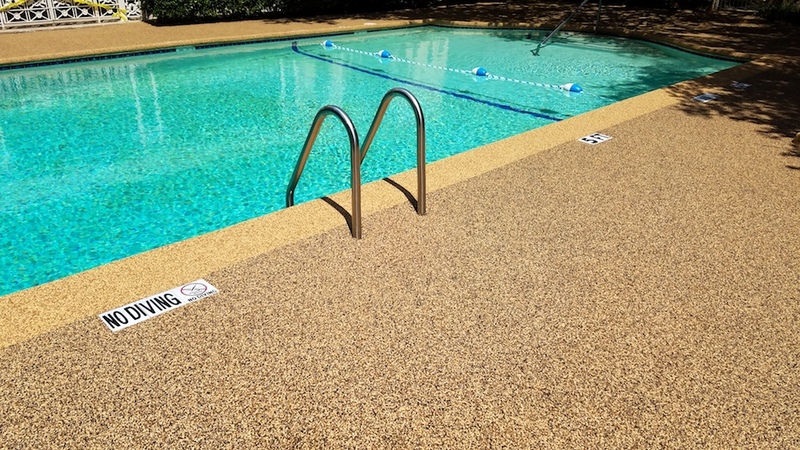 We offer Rubaroc Rubber Safety surfacing for in-ground swimming pools, decks, driveways, patios, playgrounds, and much more. 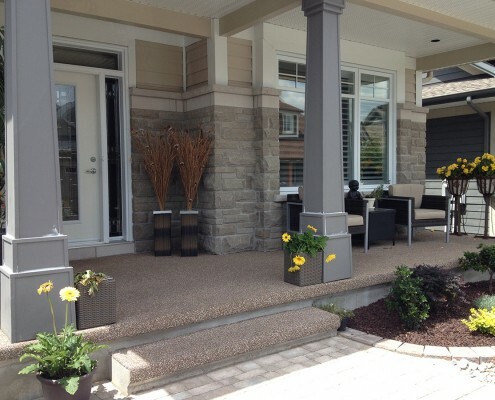 It not only adds safety for your family, but it can be installed in many styles and shapes. 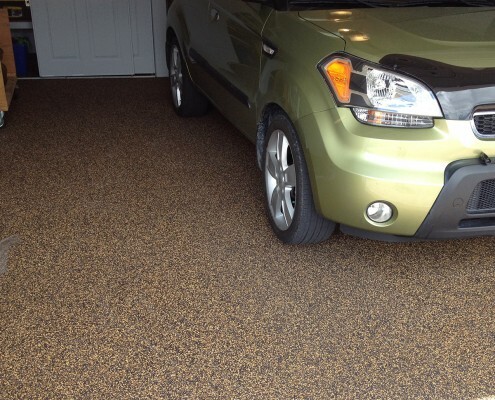 Rubaroc is mixed on-site by professionals, making it a fast, uniform installation. 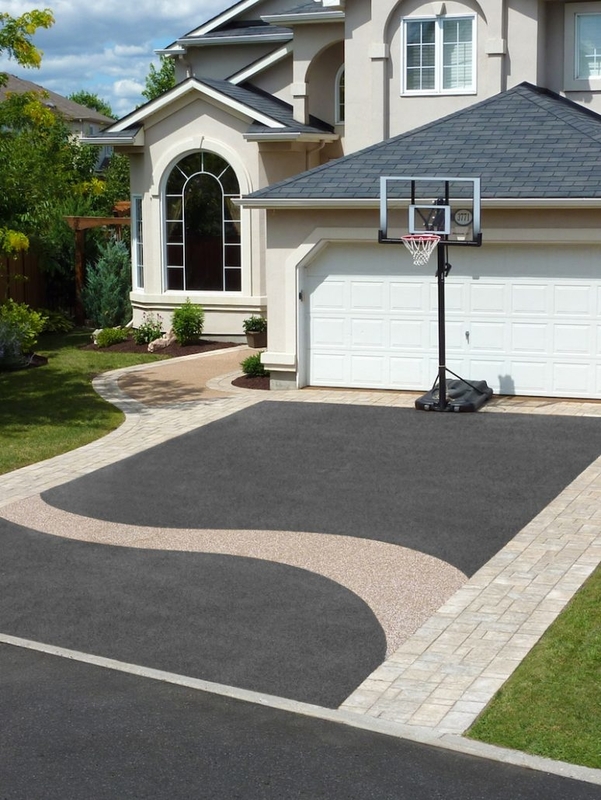 It’s the easiest, safest, surface, and you can install it right over your existing patio or flooring. 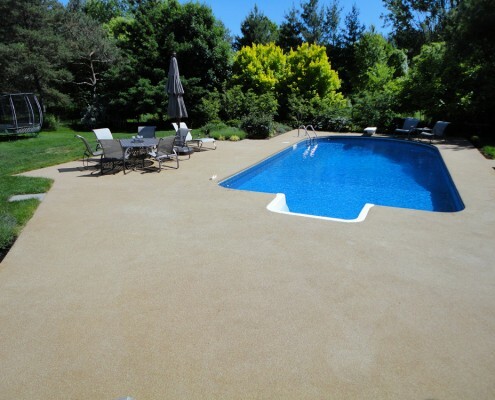 Our experienced staff will help consult and discuss your pool design. Get the same look at home that you see at water parks, hotels and resorts! 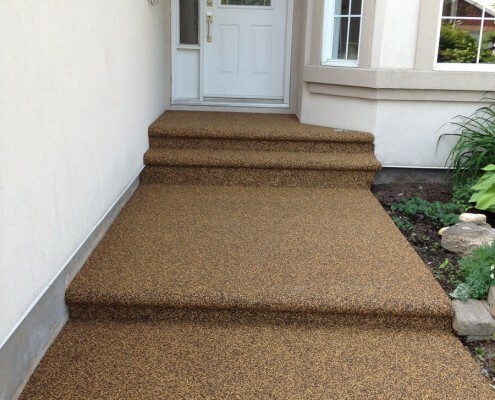 Rubaroc can be applied to many types of surfaces. 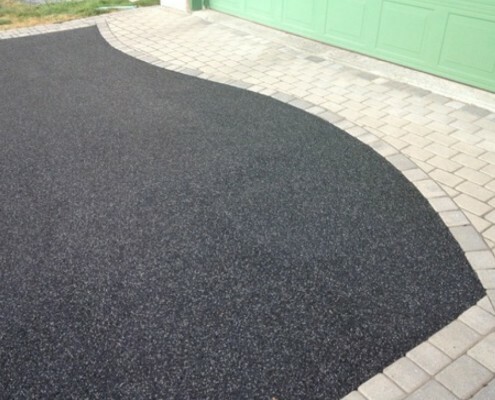 We mix on-site, and rubaroc adheres directly to any solid substrate material including concrete, asphalt, epoxy stone, brick, wood, steel, tarmac, chipboard and aluminum. 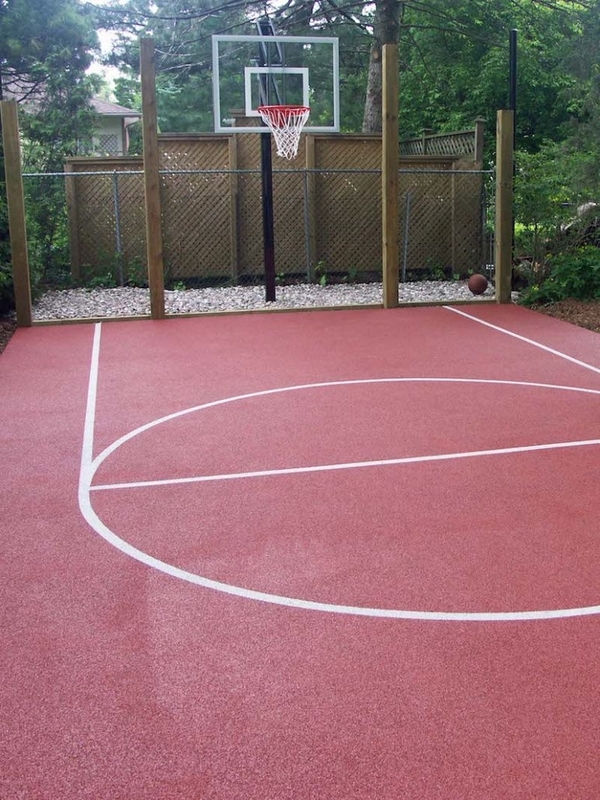 Blemishes can be filled without jackhammers or large equipment. 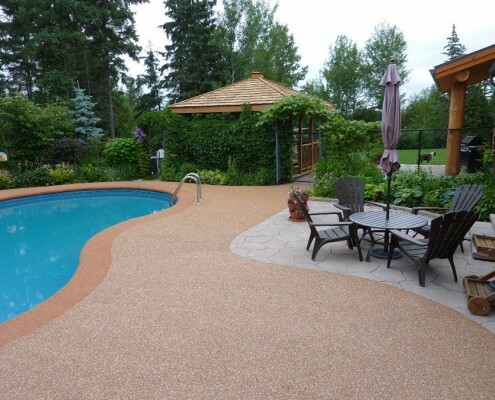 Rubaroc is easy to maintain, simply cleaned with soap and water. 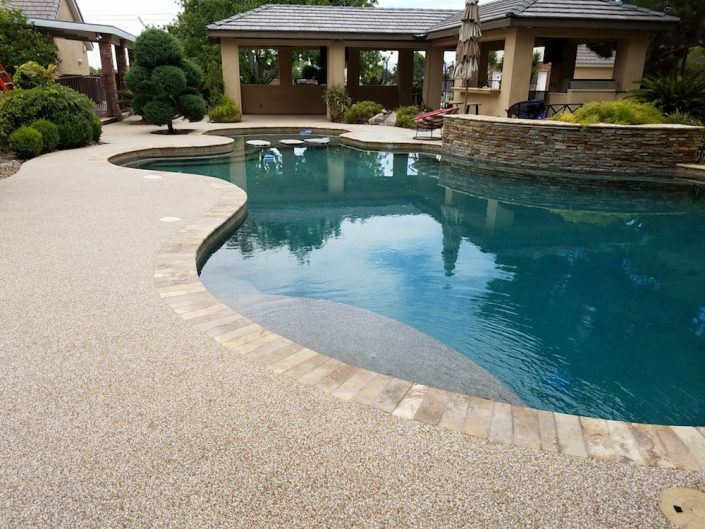 It is skid-resistant, even when wet, making it perfect for wet surfaces like pool decks, steps, and patios. 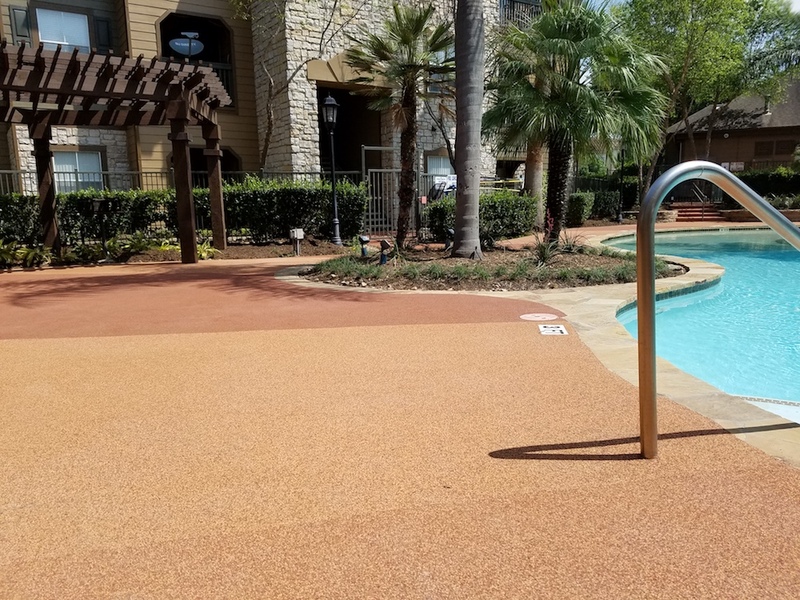 Rubaroc is a proven surface, relied on by large commercial environments like water and amusement parks, hotels, and leisure centers.